Our product range includes a wide range of quick heal security, quick heal antivirus, kaspersky antivirus, kaspersky internet security and net protector total security. 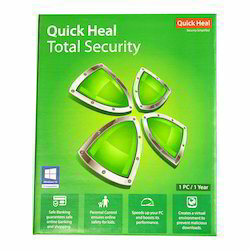 This Quick Heal Security is effective in protecting the desktop from malicious elements. Quick Heal anti-ransomware feature is more effective and advanced than other anti-ransomware tools. Signature based detection: Detects known ransomware that try to infiltrate your system through infected emails and other mediums like USB drives or other infected systems in the network. Proactively monitors the system for new ransomware infections: Monitors activity of downloaded files whose components could become a potential ransomware attack. Runs on a behavior-based detection engine: Analyzes how a program behaves in real time, so that it can be stopped before it does any damage. Has an inbuilt data backup and restore tool: The backup and restore tool proactively keeps a backup of all your important files and stores it in a secure location. These files can be restored in case of a ransomware attack. 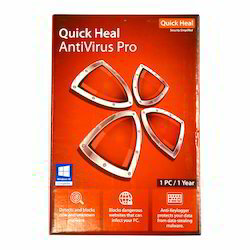 This Quick Heal Antivirus can be installed to one PC at a time. 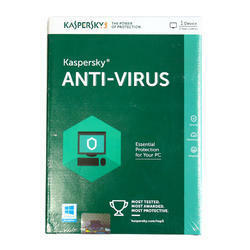 This Kaspersky Antivirus provides the essential protection to computers of homes and offices. 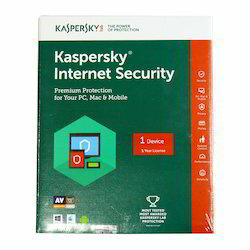 This Kaspersky Internet Security protects computers from getting infected from unwanted viruses. 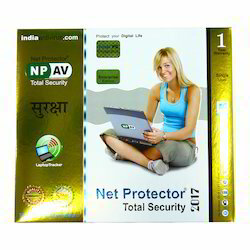 This Net Protector Total Security is available for single user domain. Powerful Zero-V Scanning Engine: Cleans & Protects from all Virus type, File Viruses, Boot Sector, Partition Table, Macro Viruses. Worms. Trojan, Downloaders. Backdoors. Dialers, Malwares. Spywares. Protection from all Sources: Disk File, Floppies, CDs. Network. LAN. Internet E-mail. Messenger. Zip Drives, Pen Drive, Mp3 Players. Dg.I Cameras, Mobile Phones & Digital Media. Real Time Protection Shield: Zero-Vans Shield stops the viruses in realtirne before they reach your PC Giving your PC a ruck saki & reliable protection. Complete Internet Protection and Security. Browser Protection: Solves all Internet Browsing Problems Ensures smooth & last Internet connection & surfing Reduces Unwanted Traffic. Stops False 'Critical Error' Security Warnings Unwanted Pop-Ups.